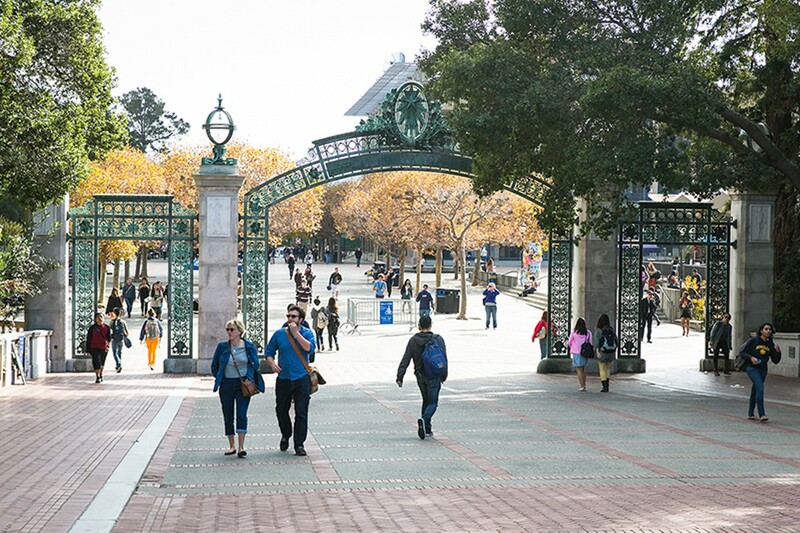 Some students say Cal has never provided adequate housing. When Maria Faulstich realized she had missed the deadline for obtaining UC Berkeley housing, she immediately called the campus housing office to see if she could still get in. She was met with bad news: The residence halls were full, and there was already a long waiting list. The same was true of the Berkeley Student Cooperative (BSC). So Faulstich, an incoming freshman from South Carolina, applied for a spot in a private dorm, where she now pays $1,499 a month to share a room with two other students. Faulstich lives at Casa Cedar, a single-family home in North Berkeley that has been turned into a privately run house for twenty Cal students. The $1,499 a month rent for each student (not including food) might seem exorbitant, even in the current Bay Area rental market, but for students like Faulstich who would otherwise pay upwards of $1,293 for room and board in the campus dorms, expensive housing is a given. "It's a little small," she admitted about her room at Casa Cedar. "But it's comfortable. "When you get into Berkeley, you make it work." Other students aren't as fortunate. Sheena Paul is a third-year history major who found herself homeless for more than two weeks during her sophomore year after she moved out of the dorms and waited to get into a co-op. "Luckily, I have great friends who let me stay on their couches, but I realized what a toll ... not having a desk or place to put my stuff ... took on my school experience," said Paul, who now resides in Wolf, one of the BSC's smaller houses. But Paul, like many Cal students, is concerned about a proposed City of Berkeley ordinance that would establish tighter restrictions on student co-housing. They say the new rules would make life more difficult for students who are already facing an unprecedented housing crunch. The proposed ordinance would further regulate so-called Group Living Accommodations. A GLA is defined as a home shared by six or more adults. The proposed ordinance would require all such residences to assign a responsible party who would be required to provide contact information to neighbors and respond to all complaints within 24 hours. Additionally, gatherings of more than 10 nonresidents where alcohol is present would be subject to a curfew, and gatherings of 50 people would require 48-hour notice to neighbors. According to the city, the ordinance is designed to "reduce excess use of ... emergency services, reduce inappropriate and illegal alcohol use and reduce the frequency of sexual assault." From January 2013 to August 2015, 125 emergency calls for service to the Berkeley Fire Department came from residence halls, 62 came from fraternities, 43 from houses and apartments, and seven from co-ops, according to city statistics. When it was introduced in March, the ordinance proposed banning gatherings of more than 100 people and requiring events with more than 50 participants to register with the city and hire security personnel — proposals that students argued were draconian. "One of the things that makes the BSC so affordable is our nightly dinners, which are prepared by members," Paul said. Many of the BSC's homes have more than 50 students, and the largest, Casa Zimbabwe, is home to 124 students. A new version of the ordinance, which was the result of workshops with students and community members, would exempt large regularly scheduled dinners at GLAs — provided that no nonmembers are present. But Paul is still concerned: "It puts a lot of responsibility on the students," she said, referring to the fact that students would not be able to invite friends to dinner without triggering the ordinance. Moreover, students often have no other choice but to live in group settings. "We can't afford one- or two-bedroom apartments," said Paul. The city has been regulating homes with large numbers of residents since 2011. In 2013 and again last year, the city adopted more regulations designed to limit the neighborhood impact of "mini-dorms" like Casa Cedar. But this would be the first time that fraternities, sororities, and co-ops would be included in the regulations. "It's things like this that make it more difficult for students to live in the few places that are still affordable," Paul said. "The main concern here is to create safety," said city spokesperson Matthai Chakko. "There have been injuries in these types of living situations ... there are some that do just fine, but others create issues in the neighborhood. It's a matter of taking responsibility." The ordinance is expected to return to city council in January. Finding housing in non GLAs can be especially difficult for students who depend on financial aid to cover rent. Many financial aid packages will cover room and board while students live in residence halls, but packages decrease dramatically when students move out of the dorms. "It's almost as if they're not paying for housing at all," said Paul, who said this decrease often comes as a shock to second-year students. With housing space for only 8,244 of its 37,581 students, UC Berkeley gives priority to freshmen, leaving all other students to fend for themselves with financial aid packages that students say reflect the university's woefully out-of-date estimate for off-campus rent: $798 a month (which is about half of what Faulstich pays at Casa Cedar). Paul said the university needs to "make sure students leaving the dorms have a financial aid package that reflects the housing market they're going into." "The university has never provided adequate affordable housing to students" said Matthew Lewis, a fourth-year political science and sustainable environmental design double major. Lewis said the problem is worsening because of skyrocketing rents in the East Bay. "The city, on its own cannot solve it, and the university, on its own, cannot solve it, so we're putting pressure on both." Lewis led the creation of an ASUC Housing Committee at the end of October to deal with a slew of issues involving the affordability crisis facing students. 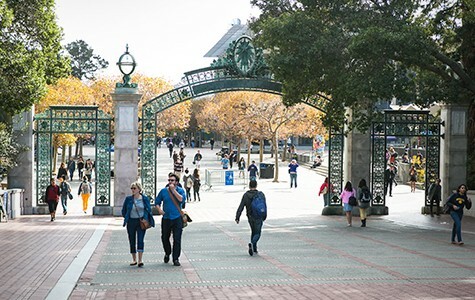 University officials declined to comment on whether they see it as Cal's responsibility to provide more affordable housing for students, or whether the university has plans to build more housing any time soon.